Customer: Excuse me sir, I am very thirsty for milk and I cannot seem to find your dairy section. Clerk : That’s because earlier today we had a milk explosion and it took out the entire dairy section including cheese, butter, cows, beans, celery, water and your precious milk… sorry. Customer: Oh My! Why don’t I see any debris? Clerk : It was also lost in the explosion I’m sad to say. Customer : Oh… I’m sorry. Well do you have any non-dairy milk? I really am thirsty and my doctor said when I get thirsty I should drink milk. Good for the bones you know! Clerk : Sure Do!! Down aisle 12 right between the seaweed and talc powder. It’s impossible to miss. It has a big red label that says road salt. Customer : (To himself) No non-dairy milk and the dairy section supposedly “blew up”? (Pulls out badge) Sir, I am from the National Dairy Council and we have gotten several complaints that you are prejudiced against milk drinkers or as we like to call it, “lactose intolerant”. Clerk : Nope. We haven’t got any of that either, sorry to say. Customer : Sorry to say?! Sir you are under INVESTIGATION. Do you know what will happen if we find you guilty of lactose intolerance? Well, so far legally nothing but things might start to happen. Your mail man may start to look a lot like the milk man and you might start getting a whole lot of envelopes full of spoiled milk and cheese. Your faucets might start pouring buttermilk. You children might come home with cheese instead of homework!!! Scratch that last part. Cheese instead of ARMS!!! Clerk : Say!! That sounds neat! How much did you say this service will end up costing me? Customer : IT’S NOT A SERVICE!! You’ve been warned. Cut to clerk in bed at night. 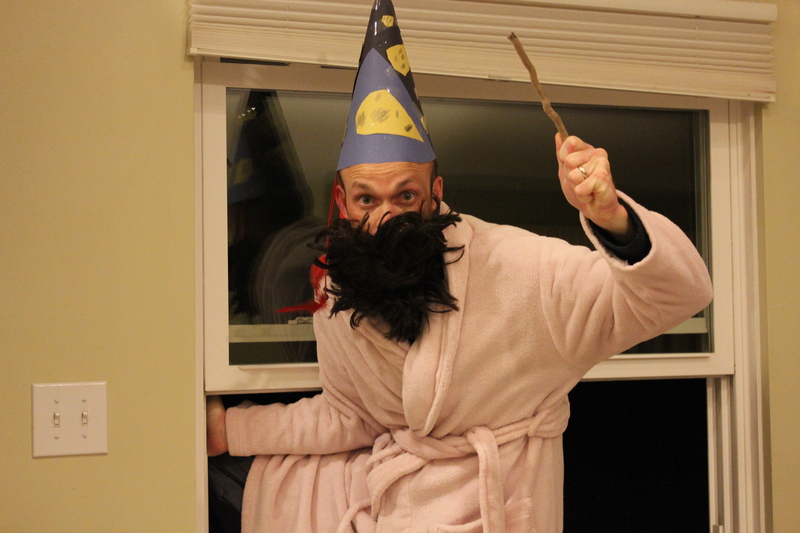 a man enters through the window in a pink womens robe and a crappy wizards cap decorated with cheese instead of moons and stars. Cheese Whiz : Let everyone in this dwelling beware! For the Cheese Whiz cometh! Clerk : Well Well Well. If it isn’t my old buddy Cheese Whiz! Look honey, Cheese Whiz decided to stop by! So, how long has it been?? Clerk : OOOOHH! 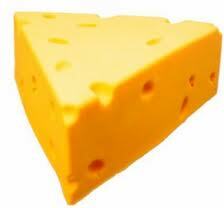 Cheese!! hahaha! You still got it pal! Cheese Whiz : I AM NOT A JOKE! You don’t understand. Everything I touch with this magic wand turns to cheese. It could be you. It could be your lovely wife! If you don’t believe me, here’s a little demonstration! (throws down a smoke bomb, touches the lamp on the nightstand by the window with the wand. Through the smoke you see him throw the lamp out the window and replace it with a block of cheese.) BEHOLD!!! Cheese Whiz : QUIET!! Apparently you don’t realize my power! With one touch of the wand I can turn you into a block of cheese! 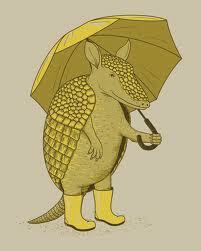 The only thing that can stop me is the Arizona armadillo. It makes me unable to control my bodily movements. Whoops, maybe I shouldn’t have told you my only weakness. Oh well, it doesn’t matter. Ain’t an armadillo within 1000 miles of this place. Clerk : Yup! It’s him alright honey! We never had a cheese song. That’s why he couldn’t finish it. Not to mention, we attended Arizona Community College, home of the mighty Arizona armadillo. Hey! Remember that time we kidnapped the mascot? Well… I still have it!! (Whips back the covers to reveal a half naked wife and at the foot of the bed the pet armadillo.) I named him stinky! He’s become like another member of the family. Go ahead and pet him. PET HIM!! Milkinator : I am the Milkinator! Let all in this dwelling take heed!! Holy crap if that’s the people that are on their way to my house, I’m locking the doors! I’m lactose intolerant but we have milk, cheese and other dairy stuff in the house for the kids. Does that count as a deterrant? I REALLY don’t want that freaky wizard comming in…. I like my lamps. I’m not sure the milk and cheese are enough to ward off the whiz. You might want to install a wizard zapper or a milkenator glue trap.